My party trick? Being able to apply makeup on a moving train, in a car, on a plane… Being prone to hitting snooze on my alarm one too many times in the morning, I’m pretty much always doing my makeup on the go. One of my favourite products for lipstick applications sans mirror is the humble lip crayon – they’re quick, they’re easy and they’re an essential for a quick makeup look. One of the classics is the Clinique chubby stick – everyone loves them for their flattering sheer wash of colour and I’m even more excited about their new crayola collaboration which all correspond to the original crayola crayon colours. The formula on this is the intense so it is more pigmented but still has the same nourishing formula that glides across the lips. The Clinique ones are definitely one of the most comfortable formulas I’ve come across. Something a little more satin in texture is the Hourglass Lip Stylo – can we just talk about how dreamy the packaging is? There’s a whole plethora of shades in this dreamy formula and the precise shape of the colour means it’s an absolute dream to slightly overdraw your lips. Hourglass is one of those fancy brands that brings a little bit of luxe to your early morning application. Lastly the Burt’s Bees lip crayons are a great budget options – the brand really knows how to make good lip products and these make a nice mix between a lip treatment and a wash of colour. 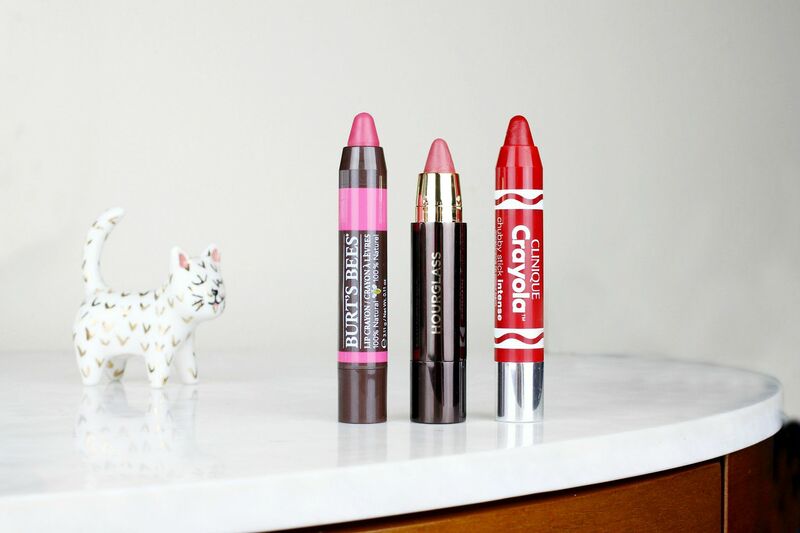 Do you love a lip crayon?